The Dirty Irishman mixes the good, traditional Irish coffee with a bit of Irish cream and ice for a refreshing, cold, and decadent treat. 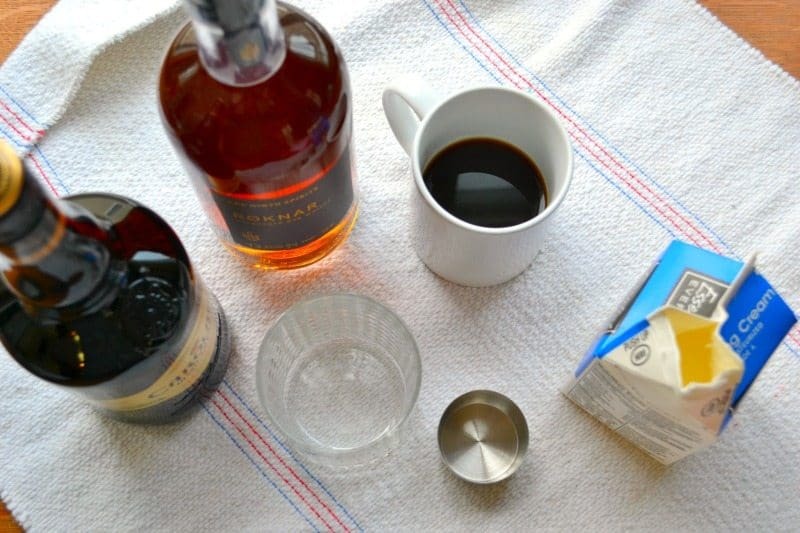 If you, like me, are a lover of all things coffee AND all things cocktails this is THE perfect recipe for you. 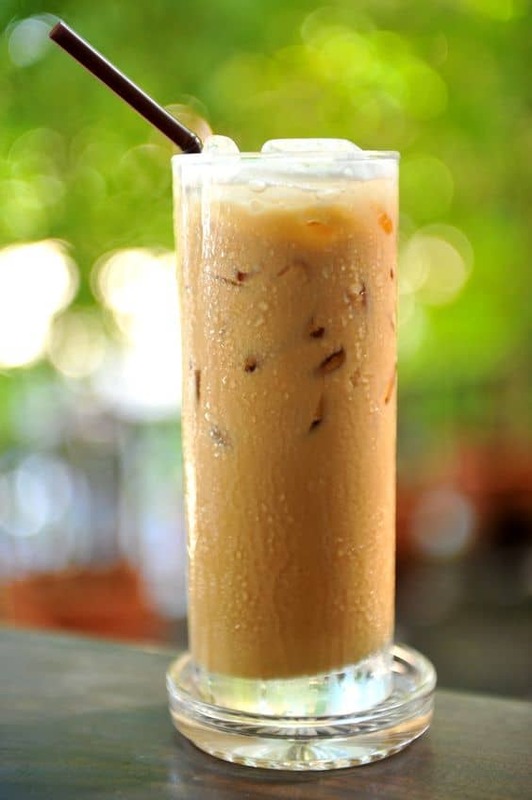 It combines whiskey, Irish cream, and strong coffee for a smooth, sweet, and creamy drink. It is very easy to drink, and anyone you give it to will likely drink it all and ask for more. And if you REALLY love whiskey, might I recommend our list of over 30 whiskey cocktails? 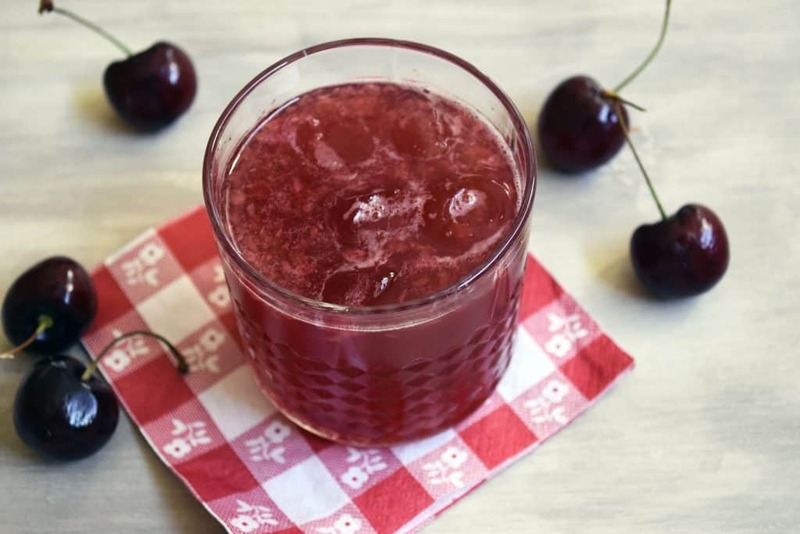 Even if you’re on the fence about whiskey, you’re sure to find a cocktail in that list you love. 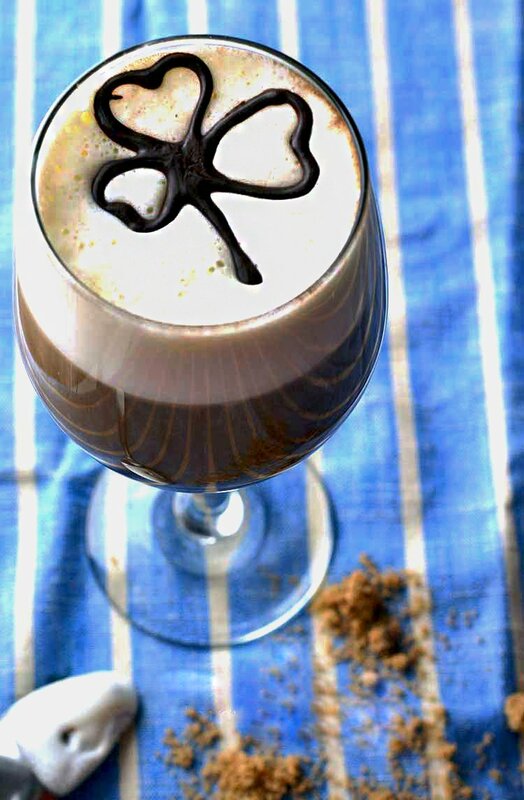 Not only is this Irish coffee cocktail delicious, but it is very simple to make. This is easy to make up at home on a Friday night in. Or for the cocktail party you host for friends. Either way, you’ll appreciate the ease of this drink. It’s only a few ingredients and does not even require a shaker. 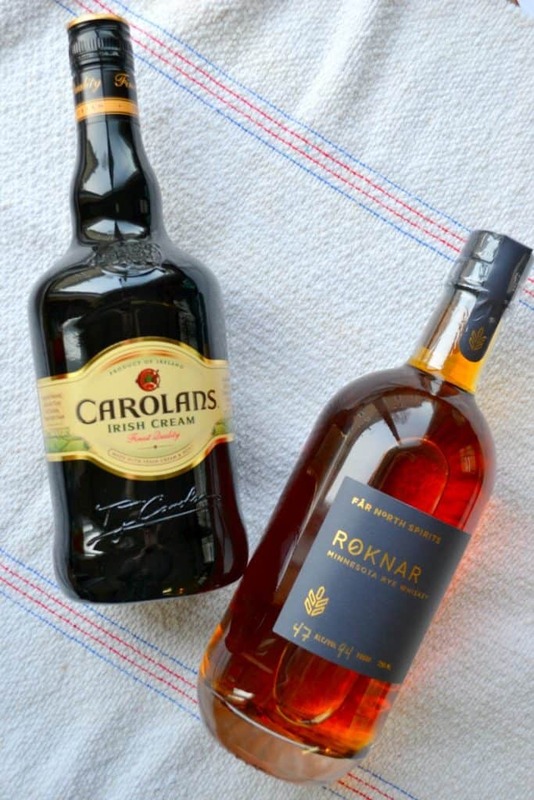 All you need is Carolan’s Irish cream (or Bailey’s Irish cream, or homemade Irish cream, or whatever you prefer), coffee, a collin’s glass, whiskey, and some ice. No Irish whiskey was used in the creation of the Dirty Irishman. Gasp. I know!! Here in MN, we have such fabulous local distilleries that it was a shame to not support them. MN whiskey was used in the creation of this cocktail. Irish whiskey will understand. But hey…we did use real, honest Irish Cream! Although, we do have a recipe for homemade Irish Cream that is amazing…if you want to give that a try! 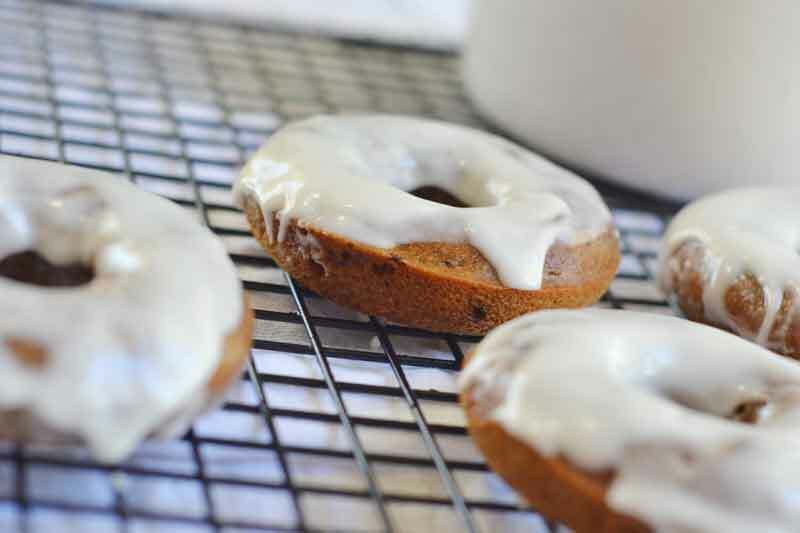 But use the whiskey, Irish cream, and other ingredients you love. Depending on if you like sweet drinks, you may need to lessen the amount of Irish cream in your dirty Irishman. You can replace it with more whiskey, half and half, or coffee, or nothing at all. We recommend using the ratios in our recipe, but feel free to adjust them to your liking. If you like more coffee or more whiskey, feel free to change the amounts. This drink is for your enjoyment, worry more about your preference. We particularly love this recipe in early Spring (looking at you, March). It makes a perfect St. Patrick’s Day drink. It’s also good in the winter, as all coffee drinks tend to be. It’s a good drink earlier in the day, and at night (maybe use decaf!). In summary, this drink is always good. Anyways, this cocktail is so crazy simple you’ll have time to drink a couple before anyone comes looking for theirs. It’s also easy to drink, so you can down it fast. So make one and drink it while making another. What’s the difference between whiskey and Irish whiskey? The main difference between whiskey and Irish whiskey is in the primary ingredients. Irish whiskey uses barley and other whiskeys use rye, corn, or wheat. Some think Irish whiskey is lighter and less full-bodied. If you don’t have any Irish whiskey, it’s okay if you use another whiskey for this recipe. The difference will be minor. What kind of alcohol is in Irish cream? Whiskey is the alcohol in Irish cream. Irish cream is a blend of whiskey and dairy products. So basically, a dirty Irishman is just a bunch of whiskey and creams. A delicious bunch of whiskey and creams! Is whiskey Scottish or Irish? Whiskey is both Scottish and Irish! Whisky comes from Gaelic, which is native to both Scotland and Ireland. So it’s hard to tell where it originally came from. Both countries can claim its origin. 2 ounces Irish Whiskey or MN whiskey...ha! Stir together the cream and the coffee in a highball glass. Stir in the Irish Cream and Whiskey. If you are looking to celebrate St. Patty’s day in style we have a whole bang-up of ideas for you! 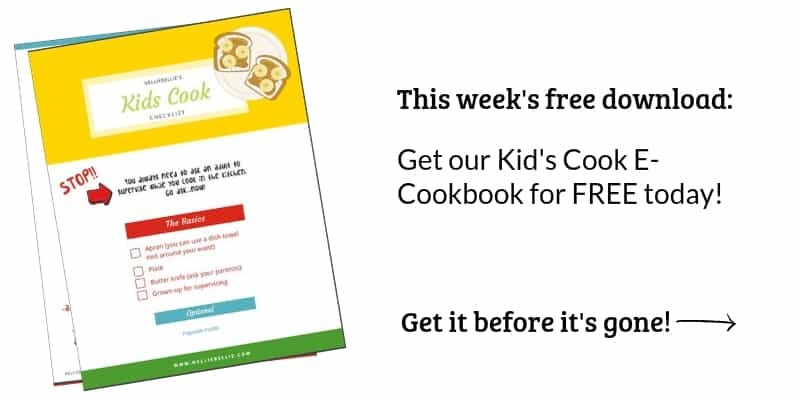 These are easy recipes that you can whip up and serve your family for a fun day!